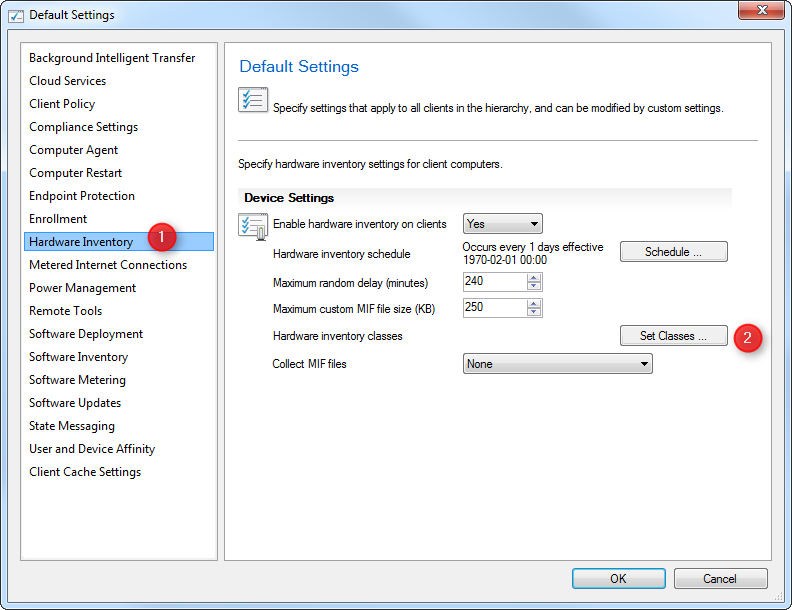 This post describe how to inventory Office 365 using SCCM 1606. We will also provide a free report at the end of the post that you could use on your Reporting Point to easily display Office 365 inventory data. SCCM 1606 introduces new hardware inventory classes for Office 365 configurations. You no longer need to edit your MOF files to gather Office 365 inventory. 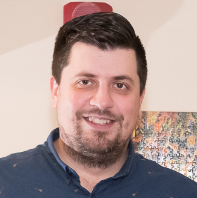 If you are using SCCM 1602 or below, follow Jason Sandys post which describe Office 365 inventory process using a MOF customization. If your goal is to deploy Office 365 updates, refer to our post on how to manage Office 365 updates using SCCM. 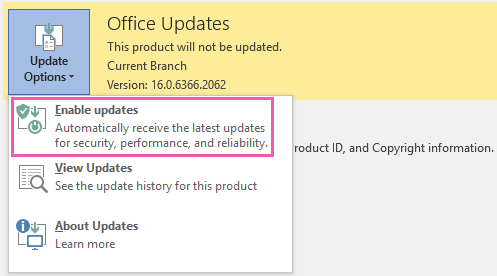 Office 365 is using new update channels and update mechanism. Tracking versions and update channels is an important task. The good news is that it’s easy to do using SCCM 1606 but the data needs to be interpreted as it’s not straight forward (mostly for update channel). Here’s the definition of other information gathered by the new hardware class. We haven’t found definition for all fields, unfortunately Technet documentation is not completed. If you have any information on your environment, feel free to share it using the comment section. Now that your inventory is gathering Office 365 data, we created a report to display the results. This report is free to use. Is this information useful ? Share your comments using the comment section. Office 365 report works great. How do we add a column on the report that displays the Full User name? I just wanted to say thanks for creating and offering the free report. This is really helpful in our organization! Worked like a charm. I have uploaded the same RDL and change the Correct Datsource, but not showing any Result for installed O365 ProPlus version – 15.0.4823.1002. How do you add user security to limit data view for lower level admin users ? With the latest update to SCCM 1710, the graphs in the report seems to be missing. Is there something additional I need to do. This report was working perfectly before. I haven’t received the RDL yet, is it possible for it to be sent again. you can request it again. You may need to try alternate email address. LastScenarioResults	Success / Failure in the sql table ? All my servers are in a Failure state and when i did a Machine Policy Retrieval & Evaluation Cycle and a Hardware inventory Cycle . I don’t get the actual gpo value. Is it mean than SCCM is unable to grab the data ? How can I tell the difference between the Office 365 suite being installed and Project Pro or Visio being installed? This report shows any click to run installation and it would be great if they could be differentiated. Let me know. I cannot get the file to download. Could you send it too me? Thanks in advance. Hi, Thanks for this having an issue though. What needs to be put in the “search” field I get prompted with when trying to run the report? I presume channel is the one I use but I’m unsure of what to put in the search box. First thank you for building this and making it available. I do have a question around the reported office version. I’m running the Monthly channel and the CDNBaseUrl matches that of the Current Channel however the report shows these machines as Unknown\Other. Is this by design? Also receiving the “Cheatin’ huh?” response across all browsers. Can you please email me the report or another download link? Or this can be set with GPO. Hi there, my workplace email is not working. Can I have the report, pretty please? Thanks, a lot, G.O. 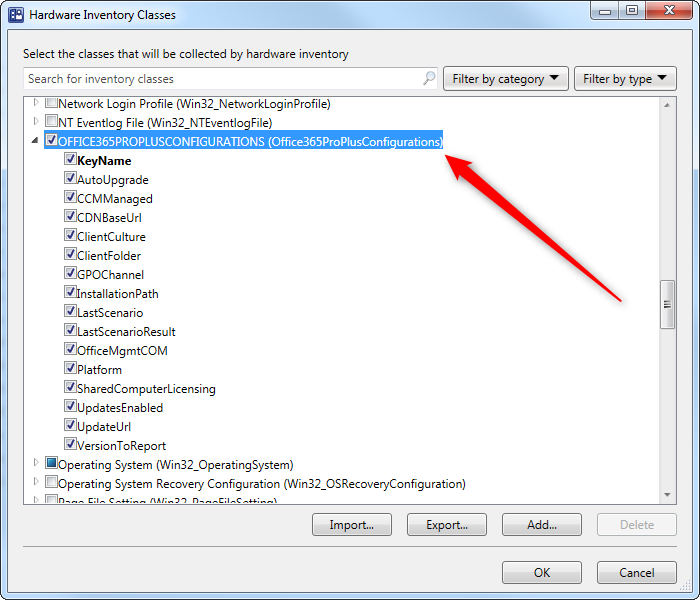 I know this post is a bit old but what do i do when the hardware inventory is setup correct but is only displays the Key name in ressource explorer? Did you get to the bottom of this as we are having the same issue? Can you email me the report as well, since the website seems has issues with the download link? I get the “Cheatin’ huh” page, tried multiple valid addresses, edge, IE11, chrome and firefox. Could you email the report to me? As others, I am getting the “Cheating, huh?” message when trying to download the RDL using multiple browsers. Please email if possible. I cannot download the report. Can I still get it somehow? Having a bit of trouble getting this report, keep getting the “Cheatin Huh?” Message. Tried with my corporate & personal mail adresses. Could you perhaps email it to me? Thanks for the report. Is it possible to add Collection parameter on the report? Is there no way to download this report without entering an email, I constantly get that “Cheatin’ huh?” page. The download link still does not work – and never has. Can you please FIX? Tried different email addresses. All say Cheatin’ huh? I have tried four different browsers, but the report will not download (Cheatin, huh?). Could you sent the report to me directly? The link to download the report is not working ! Getting a “Cheatin’ huh” everytime I enter my email. Is it possible to fix this or send it to me by email. Never mind, worked by using a gmail address. Unable to download the 365 report. Can you send it directly to me? Firefox, IE 11, Edge, IE 11 with comp. Mode, Safari on MacOS as well es on iPhone and Android Browser. No Luck to get this report. Any errors? Which version of SCCM are you running ? Can I please get this report as well? Nevermind, you can only use IE apparently. I was using Safari. Thanks Dudes, you guys are awesome. It would seem that my problem was a google chrome one. I was able to download the report via IE 11. I have bought your full bundle reports for SCCM already and really like them but I am trying to download this report and cannot. Please can we get this report or get the link sorted out? It’s just a matter of entering your email address to download it. Maybe you could try a different address from the one you bought the bundle ? Let me know, otherwise I could send it to you directly. Could you send to me directly Benoit? I have put two different email addresses and the same thing occurs each time. Cant download your report file. Please help. nevermind – i was able to grab the report using Microsoft Edge. Thank you. Is it Possible to add a column for users associated to the device. 1. Do i have to manually change anything in the .rdl file? 2. Which account should i use to Run the report – in case that i use SQL Server as the source? I can’t download the report. I can’t download or create an account to sign in. Only option is to log in…but I don’t think I have an account yet. Thank you for the report! It works great! I have 1 question. I installed O365 using SCCM with First Release Channel, but then I wanted to updated via GPO to Current Channel. So the GPO is applied… but the Channel doesn’t change. Any ideas? I’m unable to download your RDL (tested with my professional email and personal email), could you send me directly by email, please ? I also cannot get the file to download, could you send it too me. Thanks in advance. Unfortunately the Technet documentation is limited on that topic. We assume that it’s related to the “Enable Updates” option (in Office) on a SCCM managed client. It’s also empty on our side. For me some show enabled some don’t. I believe the Office365 setting in hardware inventory are enabled by default because mine were already on but on the report it only show 38 computers out of 600+.